Fendi and Sartoria Massoli, a renowned couture workshop with which the Roman house has worked closely since 1982, have inaugurated the Massoli Academy. The ambitious project is designed to transmit unique dressmaking savoir-faire to new generations of artisans and preserve the prestige of “Made in Italy” craftsmanship. The first Massoli Academy graduating class counts 18 young talents with a passion for couture. They began their training in October 2015. 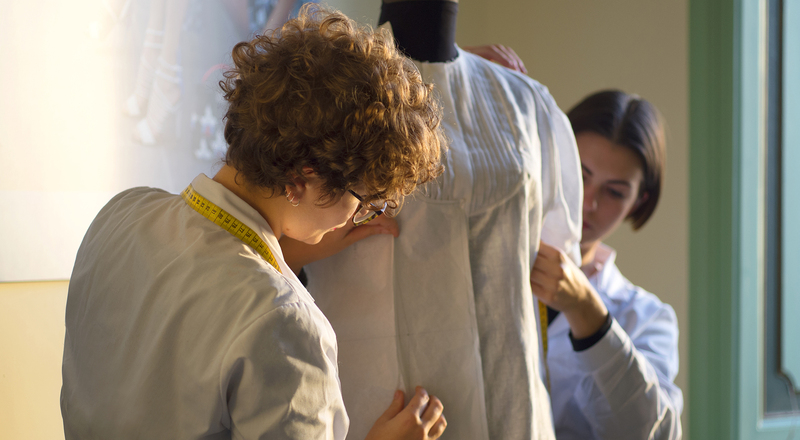 The comprehensive program spans theoretical and practical subjects, enabling them to become experts in every aspect of couture, from specific dressmaking techniques and creation of prototypes from designs to fabric cutting, plus courses on the history of fashion, marketing and management. Workshops and seminars take place at Fendi and the students will complete their training with a six-month internship, fully preparing them to fly the banner of a new generation of Italian artisans.